North Carolina State's Alex Freeman (left) and Chad Craven won last year's inaugural BoatU.S. National Collegiate Bass Fishing Championship. Craven has graduated, but Freeman will compete again this year. 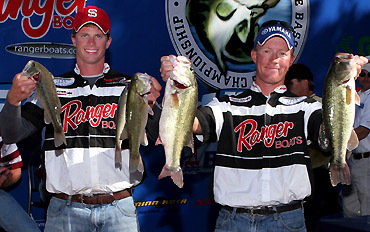 FLW Tour pro Michael Murphy was in college just a few years ago, competing for the Purdue University fishing team. 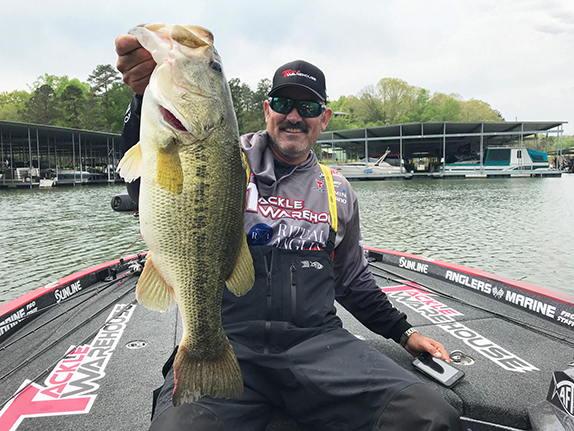 He said that as recently as 2003, it wasn't uncommon to see a collegiate angler show up for a tournament with one spincasting combo and a small tackle box that contained maybe half a dozen lures and a couple of packs of plastic worms. "Now some of these guys have gear that's better than what I have," he said. 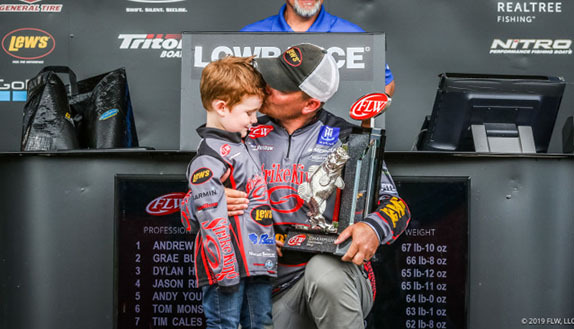 "It's definitely a different caliber of fishing than it was back then, and it's getting better and better every year." Indeed, the collegiate fishing landscape has grown considerably since Murphy was a bass-busting Boilermaker. Back then, the Big 10 Championship � which usually featured teams from eight of the conference's 11 schools (including Purdue) � was the marquee annual event. Next week, teams from nearly 50 institutions will gather at Lake Lewisville in Texas for the 2nd annual BoatU.S. National Collegiate Bass Fishing Championship (NCBFC). North Carolina State will try to defend its 2006 title, and Texas' Stephen F. Austin State will attempt to retain the No. 1 national ranking. "We've seen explosive growth in 1 year, and we've only just scratched the surface," said tournament director Wade Middleton, who'll also direct coverage of the event for Careco Multimedia and Fox College Sports (FCS). "This is a great event to serve as the cornerstone for continued growth, but the industry is recognizing that what we have now are just the very first building blocks." College students these days have a myriad of options as to how to spend their discretionary time, and a full day on a lake in pursuit of green (or brown) fish wouldn't rank high in a nationwide survey of undergrads. It's become clear, though, that there are students across the country who enjoy fishing, and they're as eager to represent their school in intercollegiate competition as any football or basketball star. What they needed was a platform, and other than the Big 10 Championship and a smattering of smaller events, there wasn't much out there. All of that's changed recently, though. FCS' desire to broadcast organized collegiate competition of just about any stripe led to the birth of the NCFBC. And 2 years ago, twin brothers who are avid anglers and ex-college baseball coaches created a governing body for the sport at the college level � the Collegiate Bass Anglers Association (CBAA). Next week's tournament will be the 11th event sanctioned by the CBAA � collegiate fishing's equivalent of the NCAA � this year. "It's like a brush fire right now -� it's growing by leaps and bounds," said Troy Heckaman, who founded the CBAA along with his brother, Mark, and serves as its commissioner. "In the last 18 months, we've had contacts with 154 schools that have expressed interest in developing a program. "So far we've had a hand in the development of 82 clubs, and we're thrilled that we've had the opportunity to help get them started. This is an exciting time for the sport." 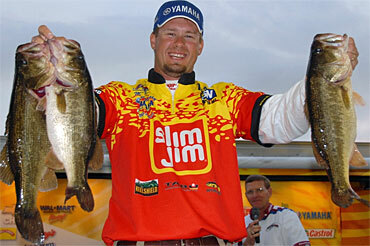 FLW Tour angler Michael Murphy is just a few years removed from the fishing team at Purdue University. He said the caliber of collegiate fishing is much higher now than when he was competing for the Boilermakers. A team from Arizona State, a university with an enrollment of more than 50,000 students, will be at Lewisville next week. There will also be one from Wabash College in Crawfordsville, Ind., which has an enrollment of 850 (all men). "We've got junior colleges, thousand-person schools from the middle of nowhere, you name it," Middleton said. "Some clubs are brand new and others, like Stephen F. Austin, are incredibly active, and have been for years." The CBAA is helping the University of Indiana and Ohio State in an effort to restart clubs that have gone dormant. When that takes place, the only Big 10 schools without a club will be Minnesota and Northwestern. It's also aiding a Notre Dame club in its transition from fly-fishing-only to a more generalized "sportfishing" group, so the Fighting Irish might soon be competing alongside the Big 10 stalwarts. The governing body hopes to help establish a Big 12 championship tournament that's modeled after the Big 10 event. The Big 12 encompasses large schools in the lower Midwest and Southwest, many of which already field clubs. The biggest regional black hole right now is in the West. Arizona State and the University of Oregon are the only schools on that side of the Rockies that'll be represented at Lewisville. "It's been a little bit more difficult to reach those schools out there, but we're working on a project with Oregon that's geared toward the West Coast," Heckaman said. "We know there's some outstanding angling opportunities there, and it's underserved right now." > To check out the CBAA's website, click here. To visit the official site of the NCBFC, click here. 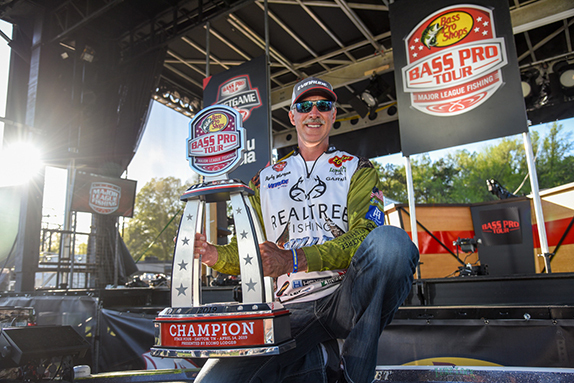 > All two-angler teams will compete during the first 2 days of the NCFBC (Sept. 27-28). Only the Top 5 teams will advance to day 3, and the winner will be determined by highest final-day weight. The purse includes more than $35,000 in scholarships. > Chad Craven and Alex Freeman of North Carolina State won last year's inaugural NCFBC with a 13.57-pound final-day limit. Craven has graduated, but Freeman is back this year with a new partner. Texas � Baylor University, North Central Texas University, Stephen F. Austin State University, Texas A&M University, Texas A&M University-Kingsville, Texas Tech University, University of Texas at Arlington, University of Texas at Austin. Wisconsin � University of Wisconsin-Madison, University of Wisconsin-Whitewater.